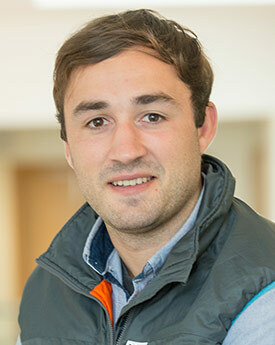 Josh is a current PhD student and associate lecturer at the Lancaster Environment Centre. His project is focused on reducing phosphorus loading in freshwaters from agricultural land-use, using novel and cost-effective strategies, in partnership with United Utilities and West Cumbria Rivers Trust. Previously, he worked as an environmental specialist for a large engineering and design firm in the Middle East. From this, and his previous research experience at Plymouth University, he has a broader interest in all aspects of freshwater management; including catchment hydrology and biogeochemistry, fluvial geomorphology and influencing policy through ecosystem services principles.